By Paul Jakse, vice president, sales, AeroGo, Inc.
Moving 50 to 200 tons of product, equipment, or materials on a repetitive basis is a common challenge in industries such as manufacturing, aerospace, stamping, power generation, and marine. Loads are not only heavy but can be awkward in dimensions and fragile as well. Cranes and conveyors have long been used as a form of transportation, but today’s manufacturers seek better, more efficient and flexible ways to move goods to maximize safety, reduce costs and streamline the process. Air caster systems have proven to provide a bridge between traditional MHE and the desire for manufacturing flexibility. The ability to move 14,000 lb. machines in restrictive areas and eliminate damage to epoxy floors makes air caster rigging systems an attractive alternative to forklifts. Anyone who’s played air hockey has seen air caster technology in action. A flow of air allows the movement of the puck― the load being moved―to be floated in any direction with a minimum amount of force. Air casters employ the same principle. The resulting reduction of friction facilitates near frictionless movement in all direction—a flexibility manufacturers appreciate when maximizing floor space or realigning a production line. Unlike cranes, wheeled dollies, hydraulic jacks, skid beams, forklifts, and conveyor and static track systems, air caster technology has revolutionized the movement of such multi-ton loads. Loads moved via an air pallet of product, acting like a hovercraft, can be transported in any direction by providing friction-free, omni-directional movement at a controlled velocity with minimal effort, a virtually impossible task for conventional methods. These attributes are particularly beneficial when handling loads that are not only heavy, but are oddly configured, imbalanced, bulky or fragile and require special handling. Among the most important attributes for air casters is the fact that a minimum amount of force, only five to 25 pounds, is required to move a 5,000 pound load.. Because air casters are omni-directional, very little force is required to change their direction. Industries that have relied on wheeled casters or rollers concede that directional change is time consuming, can gouge or tear floors, and is anything but flexible. 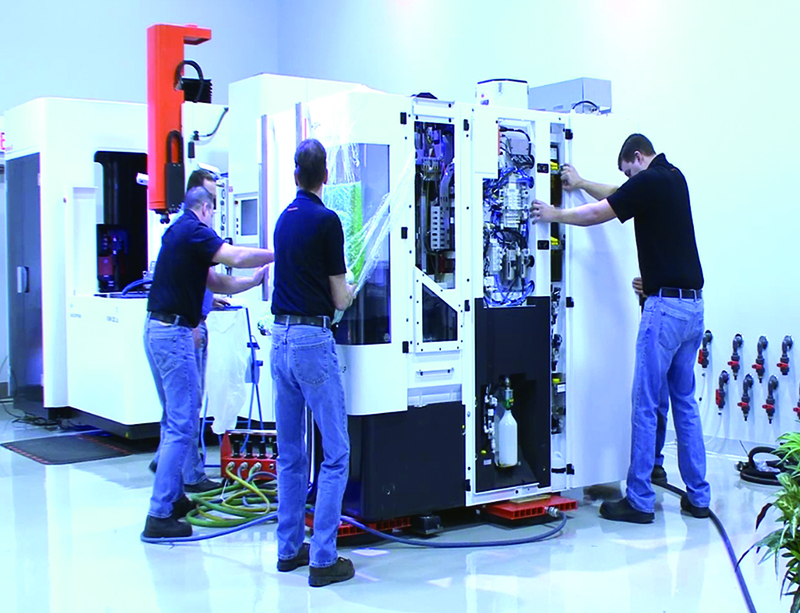 Repositioning components in the production line is safe, simple and quick when they are floating on air. In increasing numbers, savvy manufacturers are turning to air caster technology. Since they were first developed in the 1950s by General Motors and later refined by engineers at Boeing, air caster technology has been successfully implemented to move aircraft fuselages, specially-sealed casks of nuclear waste, reposition sections of ship hulls and lift the caissons used to construct a seawall, and reposition the largest electrical generator in the world. The technology and its attributes benefit much smaller loads in the 5000 lb. to 20 ton range similarly, such as missiles, telescopes, construction equipment and test devices. 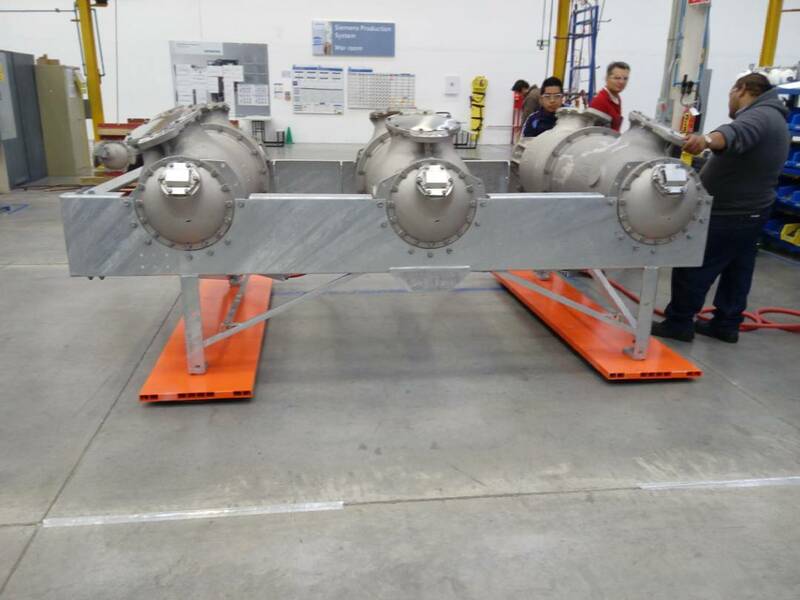 For example, CF Agie Charmilles, the Swiss-based maker of precision machine tools for the aerospace, medical, and automotive industries, has implemented air caster technology to replace the heavy-duty forklifts it had been using to move delicate production equipment and finished product. Air casters make such damage a distant memory since heavy loads can be floated on air over the surface of any flat, non-porous floor, even those with gaps, access panels, and channels. Loads as small as this 2000 lb. powder coating rack are easily moved by a single operator when floating on air bearings. 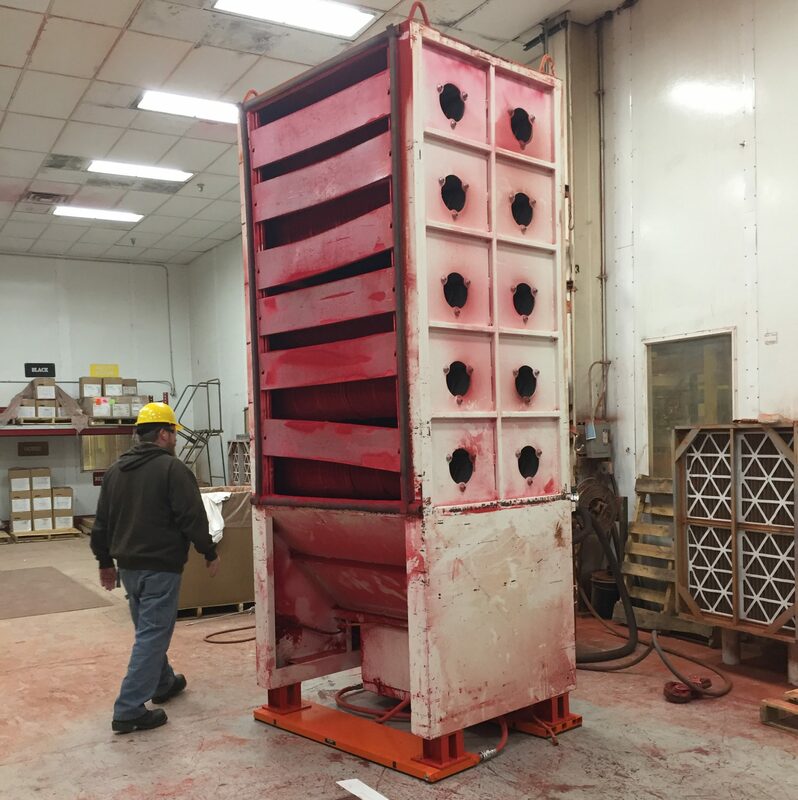 The most significant and obvious benefit of utilizing air caster technology is cost versus the weight of the load being moved that results in reducing downtime and manpower costs. Typically, to move 1,000 tons of bridge components might cost anywhere , for a complicated forklift system, where manufacturers could buy an air caster system to do the same job with virtually no limitations, for less than $350,000. Also, manufacturers can benefit by the technology’s ability to expedite production by swiftly repositioning equipment, facilitating batch production, and allowing movement of same to any place in the manufacturing plant or distribution facility. Companies of all sizes can improve flexibility and efficiency and maximize their work flow with relatively little investment, while, at the same time, reducing the risk of hazards to their workforce and their facilities. 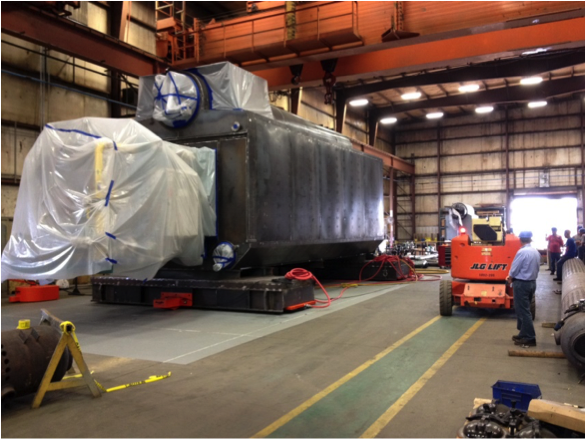 Boilers and pressure vessels up to 100 tons move through a factory on a recurring basis through welding, manufacturing and assembly processes. Paul Jakse is vice president of sales of AeroGo, Inc., Seattle, Wash. AeroGo manufactures heavy load moving equipment utilizing hovercraft technology for transporting heavy, awkward or delicate loads. Tel: (866) 537-0153. For more information, please visit http://www.aerogo.com.